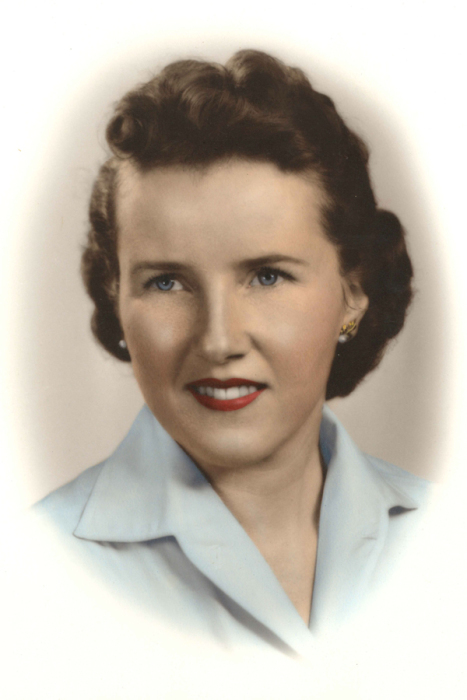 Kathleen Holcombe Bryson, age 94, of Candler, formerly of Burnsville, went home to be with the Lord on Wednesday, February 6th, 2019 at Smoky Ridge Health and Rehabilitation. A native of Yancey County, she was a daughter of the late Alvin and Nell Holcombe and wife of the late Ray Bryson. She was also preceded in death by sisters: Ruby H. Pike, Emma Lou Holcombe and Libby McHattie; brother, Alfred Holcombe and two infant brothers: Adler and Jennings Holcombe. Surviving is her sisters: Eva Holcombe formerly of Asheville and Juanita Tipton and husband, Walter, of Burnsville; brothers: Grant Holcombe and wife, Lois, of Burnsville, Ted Holcombe and wife, Barbara, of Shallotte and Edd Holcombe and wife, Doris, of Burnsville and a brother-in-law, Don McHattie, of Casper, Wyoming. Several nieces and nephews also survive. Graveside services will be held at 11 a.m. on Saturday, February 9th in the Cane River Baptist Church Cemetery. Rev. Terry Long will officiate. In lieu of flowers memorial donations may be made to Hospice and Palliative Care of the Blue Ridge at 236 Hospital Drive, Spruce Pine, NC 28777.